Siglent SDS2202X-E 2Ch 200MHz 2 GSa/s Oscilloscope. 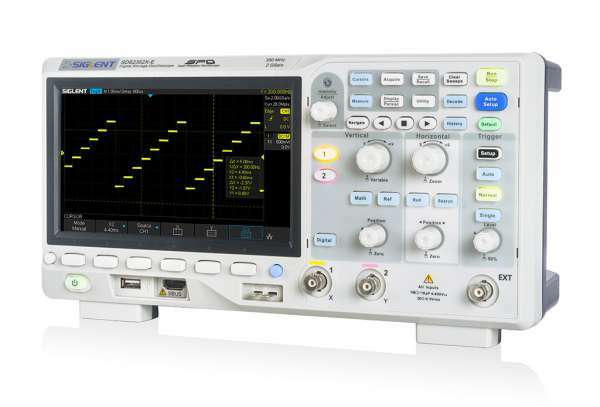 SIGLENT’s new SDS2000X-E Series Super Phosphor Oscilloscopes are available in two bandwidths; 200 MHz and 350 MHz. They each have a maximum sampling rate of 2 GSa/s and a standard record length of 28 Mpts. The most commonly used functions can be accessed with its user-friendly one-button design. The SDS2000X-E series employs a new generation of SPO technology. With its excellent signal fidelity, background noise is lower than similar products in the industry. It has a minimum vertical input range of 500 uV/div, an innovative digital trigger system with high sensitivity and low jitter, and a waveform capture rate of 400,000 frames/sec (sequence mode). It also employs a 256-level intensity grading display function and a color temperature display mode not found in other models in this class. 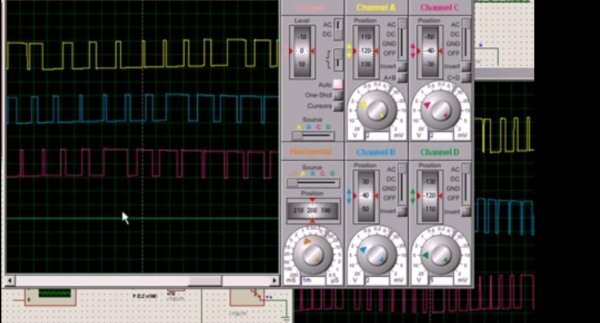 Siglent’s newest oscilloscope offering supports multiple powerful triggering modes including serial bus triggering and decoding. History waveform recording and sequential triggering allow for extended waveform records to be captured, stored, and analyzed. Also included is the deep memory FFT. This math function uses upto 1 M samples for the FFT calculation, providing the SDS2000X-E with very high frequency resolution. The hardware co-processor executes true fast measurement and math to all of 28M sample points so that there is minimal distortion on analysis. It also supports searching and navigating, on-screen Bode plot, 16 channel digital /MSO (optional), an external USB powered 25 MHz AWG function generator module (option), a USB WIFI adapter for wireless control and monitoring (option), and an embedded application that allows remote control via web browser. The features and high-performance of the SDS2000X-E oscilloscopes cannot be matched else anywhere at this price.